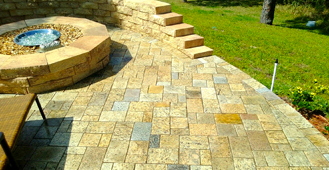 Natural Granite Pavers come in a variety of styles and colors. 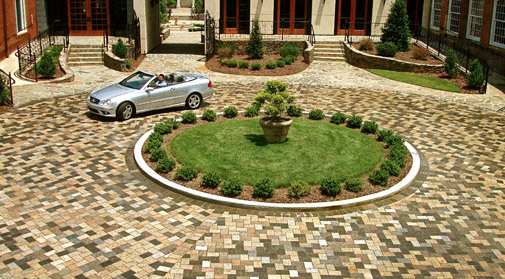 This allows each customer to customize their driveway, pool or patio. 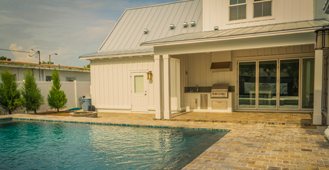 Our 1.25" Granite Pavers are 5x more durable than standard pavers that are over twice as thick. 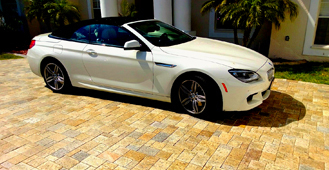 Encore Stone Pavers can be installed like traditional pavers, but are the only thin paver that can also be installed over existing concrete and remain vehicular rated. Learn More. Encore Stone's beautiful Granite Pavers can add life to any patio or walkway. Learn More. Encore Stone's patented finishing process creates Granite pavers that are textured and slip-resistant, unlike other natural stone pavers. Learn More.